Drones are becoming part of our daily lives, and more and more often we rely on their technology to shoot spectacular photos or shoot videos from above.These little jewels of technology, thanks to the cameras installed at high definition, give exceptional results. In this article, we will look at how to start using a drone and how to make money with drones to sell photos and videos that have been shot online or offline. First of all, let’s say that to start piloting a semi-professional or professional drone that we’re going to see, we need to do some little money drones just to get comfortable with the maneuvers and not to throw hundreds of dollars in the nettles that are the cost of a professional drone. We will see 5 different ways to make money with photos and videos shot with your drone. Make money with drones – Which drone to choose? To start practicing we recommend buying cheap drones at low cost, but with qualities already similar to the professional drone that we will see soon. The best toy drone currently in circulation is undoubtedly the Syma X5C Explorers which you can buy on Amazon at just over $20 and which offers all the features you need to start learning how to pilot a drone. But If you already have a good experience in piloting a drone you can proceed with the purchase of the professional drone. 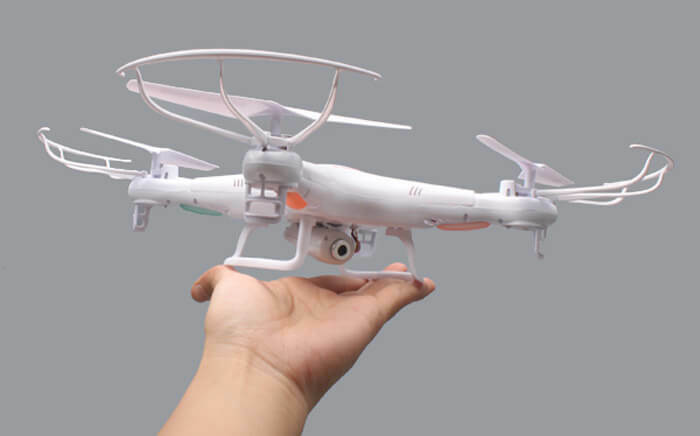 The 12MP 2.7k camera, GPS and wifi flight controller. In fact, you can check to live every image that the drone is filming, through the use of your Android smartphone or iOs. 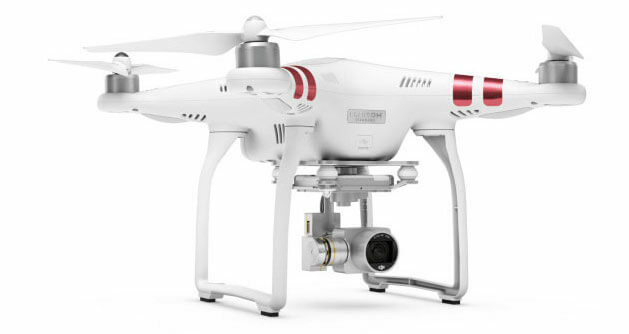 The price currently for the Phantom 3 Standard in the shop sells for more than 1000/1200 euros but it can be found on Amazon for only $750 in by clicking here. With the Phantom 3 Standard, you can take professional shots and take pictures in very high definition from a maximum height of 250/300 meters with all the features of a professional drone. The classic question get asked is: but does it require a license or a patent to drive a drone? The answer is no. You can pilot freely following some rules of behavior and it is not necessary to communicate the flight plan to the control. It is clear that you will always have to fly your drone on sight and not in the presence of other people, as well as it will not be possible to drive the drone at night. We recommend that you read the rules carefully. Here are 5 different ways to make money with drones (photos and videos shot with your drone). You can start selling some videos to your friends or acquaintances. one of our readers, started by filming a friend’s wedding video and then made himself known by creating a Facebook page dedicated to his air services with the drone. The possibilities are endless and there is a lot of demand. Whoever gets married certainly would absolutely like a video of the ceremony shot from above. Imagine the beauty of a park with newlyweds and guests on a wonderful sunny day. A wonderful memory. You can advertise your services even if you know forums that specialize in weddings, such as the Wedding Forum and on other specialized forums that you can find on Google. Many companies want to put aerial videos on their website, to give a perspective from the top of their company. How to find customers? Simple: place ads on Fiverr.com, Cinqueuro.com, Kijiji.it, Subito.it, Ebay.it and create a Youtube channel where you can put some demo videos. Every day we sell thousands of aerial photos taken with drones, on specialized sites such as Shutterstock.com, Fotolia.it etc. We upload photos and sell photos to customers who then download and use them for commercial and/or private purposes. 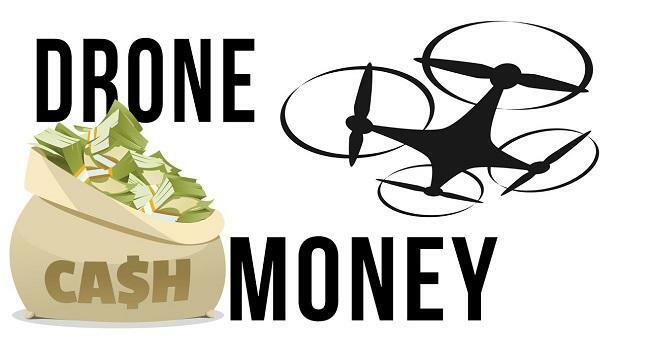 You can earn enough money with this method to make money with drones. Another a great idea to make money with drones Thanks to Youtube you can get hundreds of thousands of visitors. The videos shot with drones are very popular on Youtube. And one of the quickest and easiest ways to get millions of visitors. The classic search phrases Drone Aerial View or Drone Video are among the most searched on the tube. By getting lots of visitors, you can monetize with: Google Adsense, for every click on the banner of your video you will get a profit. Promoting your services as a dronist and reporter/photographer. Freelancer.com is a great idea to promote your services. You can enter an ad in which you offer videos and photos shot by your drone, and enter the cost for each video and/or photo, with the costs of reimbursing petrol and/or overnight stays if the job is out of town. I hope I have been helpful to you that’s all for ways to make money with drones guide that you can follow to start your drone business.